Would you knowingly set your sales department up to waste 97 percent of their time on leads that don’t go anywhere? Of course not. Each company needs to agree on its specific definition of how to qualify leads before passing them from marketing to sales, but it should always follow these five basic steps. Identify what the prospect needs and what challenges he or she is trying to solve. 1. Determine what the prospect needs. Many leads may find their way into your lead nurturing system, even when your solution isn’t really the one they need. If you are providing a lot of information in your website content and offers, it could be that they are simply learning from you, but don’t actually need your products or services. As part of the lead qualification process, you should identify what the prospect needs and what challenges he or she is trying to solve. If they don’t have a need currently, there is no reason to send them on to sales. 2. Confirm that your solution is the right fit. Once you know what challenges your prospect is facing, it’s time to consider which product or service you offer is the right solution. If your company offers a range of products, perhaps to suit clients in a range of sizes, you would want to identify the appropriate sales team member to initiate follow up calls. Not every lead is going to be able to afford your top-end solution. 3. Know the prospect’s budget. Not every lead that enters your nurturing program is going to be able to afford your top-end solution. When conducting lead qualification contacts, you need to find out from the prospect how much they are able or willing to invest in your solution. This gives your sales team a starting point from which to prepare bids or proposals. Or it could disqualify a prospect completely, if they simply don’t have the funds to spend on your products or services. 4. Identify your prospect’s influence level. Visitors to your website will likely include various levels of management and influence level. It is important to know who your prospect is: are they an end user of the product, an influencer, or a decision-maker? In small companies, the same individual may fit all three descriptions, but in others that isn’t the case. AccuReg realized this in rebranding their healthcare registration software. They had previously targeted the end user: hospital registrars. However, the software purchasing decision is more likely to be made by CFOs. If a lead doesn’t have the authority to make purchasing decisions, or at least have influence and input into the decision-making process, there is no need for your sales team to spend time trying to close a sale. 5. Understand the prospect’s timeline. Knowing how soon the lead wants a solution in place will help your sales team prioritize where they put their efforts. A prospect looking for a quick solution will require more immediate attention than one who is currently in a contract but exploring options for when that contract expires six months down the road. 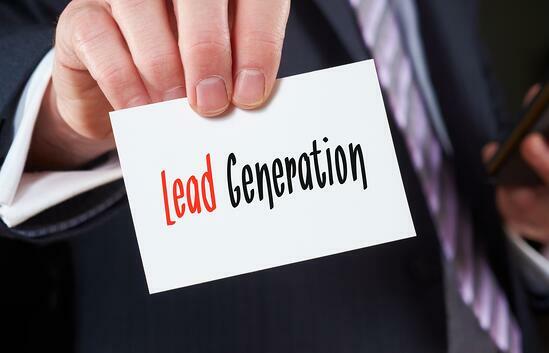 Put all of these criteria to work in your efforts to successfully transition leads from your marketing department to sales with our Lead Qualification Checklist.